You may remember last summer when I shared my tutorial on How to Take Sparkler Photos. 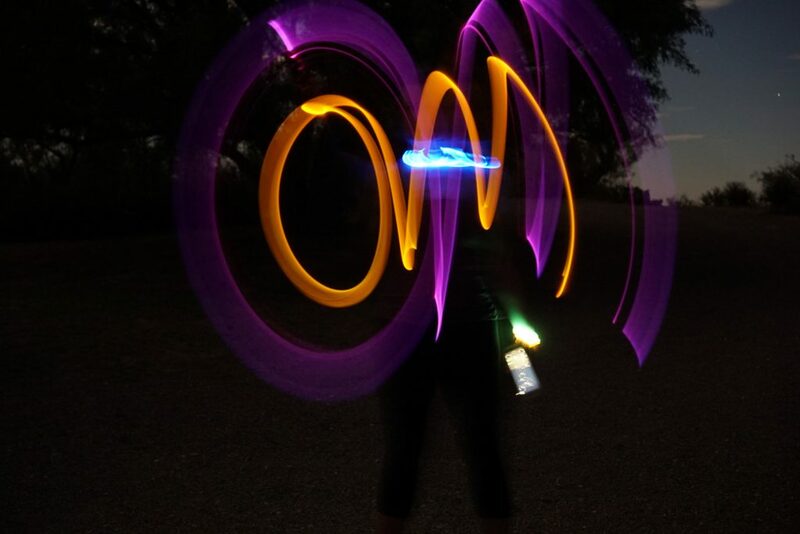 Well, this summer, I was recently on a yoga retreat with Mobile Om out in Marfa, Texas, and they hosted a Gloga night (aka yoga with glow sticks). 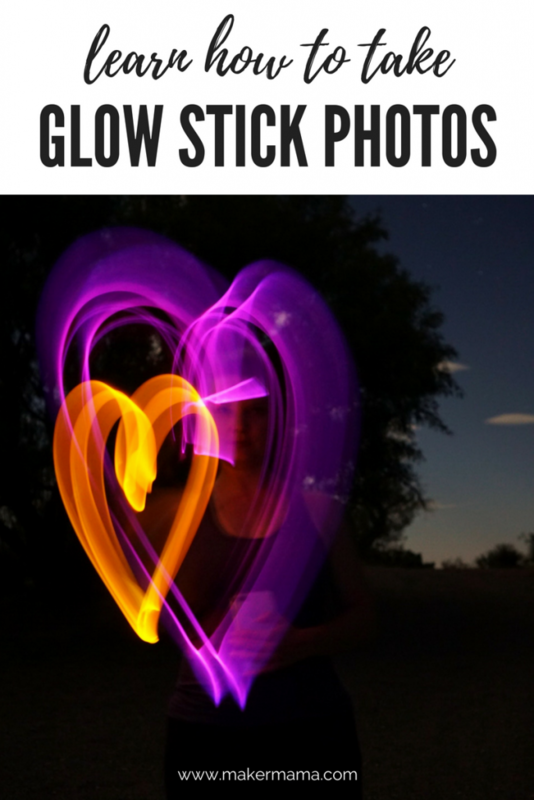 I was there to photograph the retreat and had the challenge of figuring out how to capture the glow stick vibes. I captured plenty of photos of people wearing glow sticks in the dark, but all you could see were the glow sticks. That’s when the sparkler pictures came to mind, and I decided to set up for glow stick photos. The set up for taking glow stick photos is much the same as taking sparkler pictures, but with one small caveat. 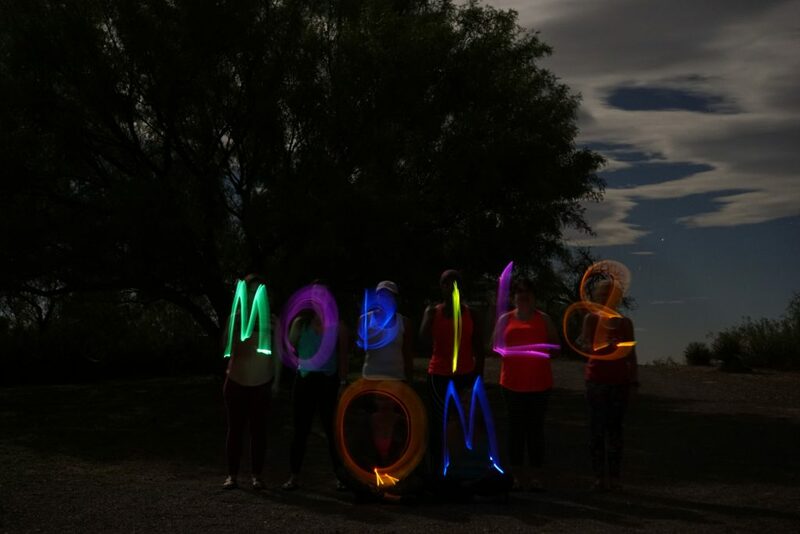 You want to make sure you’re not wearing glow sticks around your neck or any other places that are going to be still in the photo, otherwise they’ll interrupt your light writing. I played around with it a bit and discovered that it looked really cool when you used two colors. I got the effect of two lines by wearing one on my wrist, and holding one in my hand. 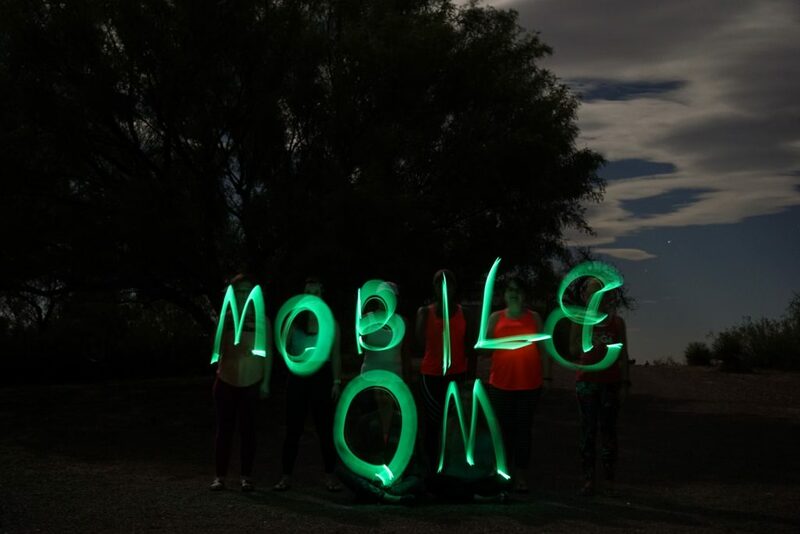 Lastly, we did a group photo spelling out Mobile Om. We started off with everyone using an assortment of colors, but found it was a better picture when they all used the same color. Also, remember to write your letters backwards so they show up correctly! That, or edit and flip your photo afterwards. 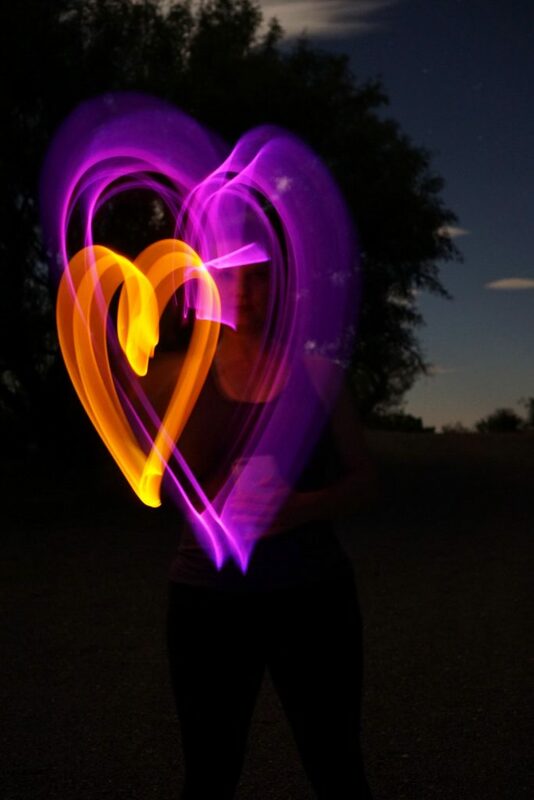 You can read more about how to set up your camera to capture your own glow stick photos on my sparkler photos post. 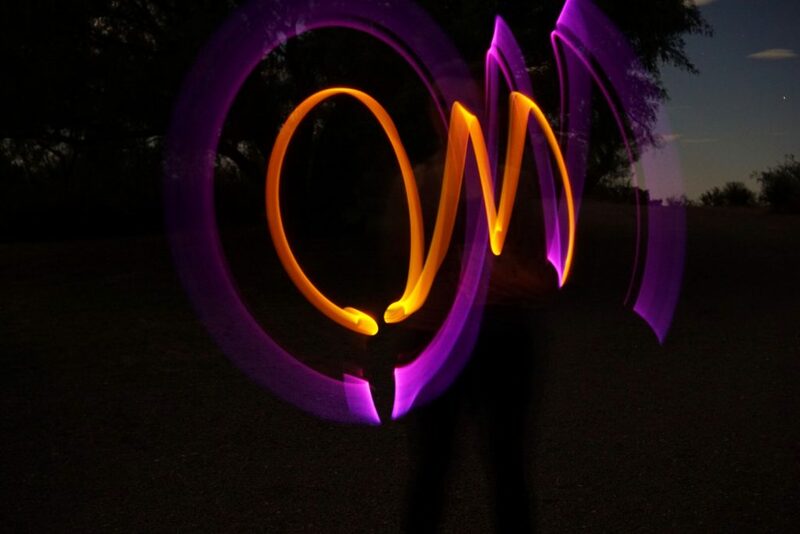 I can’t wait to try out glow stick writing with my kids–it’s bound to be a little easier without worrying about sparklers burning out before we capture the shot!